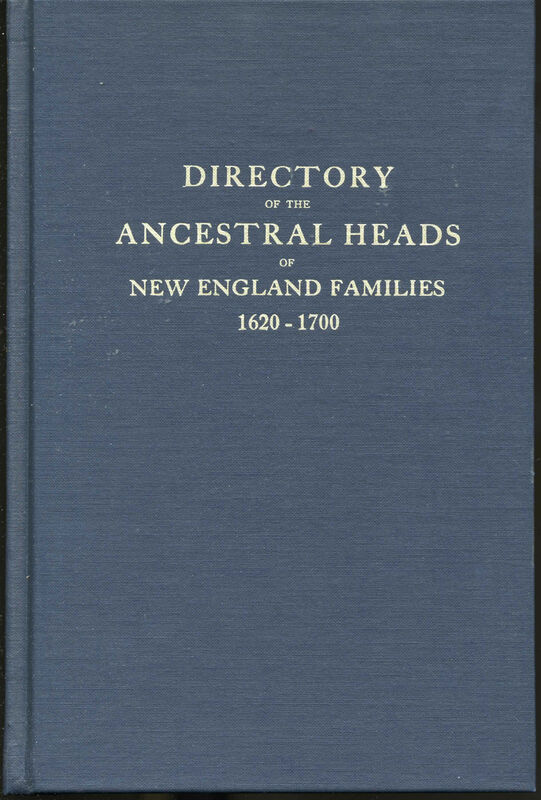 Today we look at the AVERY family in the Directory of the Ancestral Heads of New England Families 1620-1700 at the Main Campus of the Carnegie Public Library in Pittsburgh. It was compiled by Frank R. Holmes (Genealogical Publishing Company, Baltimore) apparently published in 1923 and then reprinted in 1989. 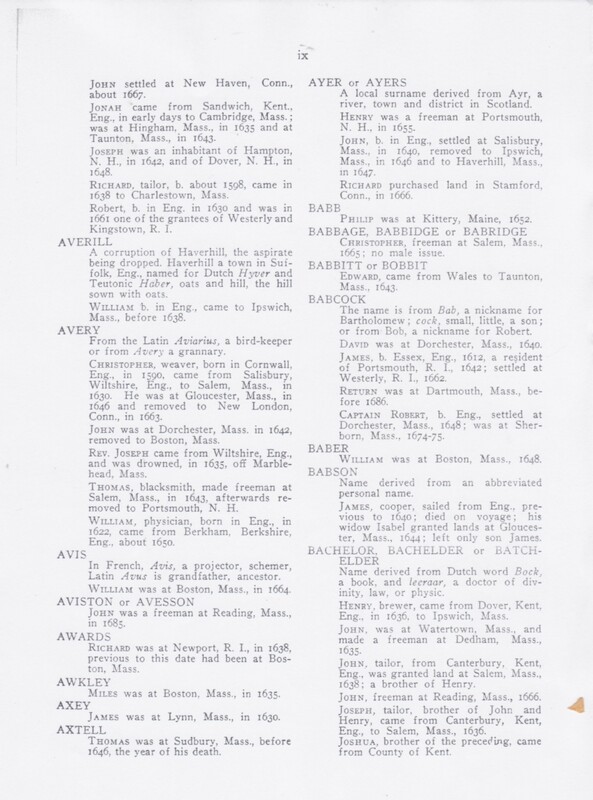 Page after page is filled with alphabetical entries of last names and then, if known, the origin of that name, and the earliest American people in New England with that name. From the Latin Aviarius, a bird-keeper or from Avery a grannary. CHRISTOPHER, weaver, born in Cornwall, Eng., in 1590, came from Salisbury, Wiltshire, Eng., to Salem, Mass., in 1630. He was at Gloucester, Mass., in 1646 and removed to New London, Conn., in 1663. JOHN was at Dorchester, Mass., in 1642, removed to Boston, Mass. REV. JOSEPH came from Wiltshire, Eng., and was drowned,, in 1635, off Marblehead, Mass. THOMAS, blacksmith, made freeman at Salem, Mass., in 1643, afterwards removed to Portsmouth, N.H.
WILLIAM, physician, born in Eng., in 1622, came from Berkham, Berkshire, Eng., about 1650.